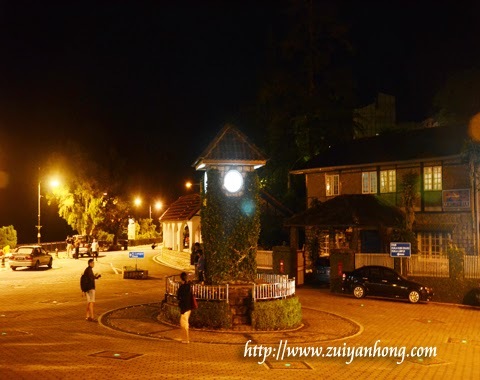 After dinning at Hill View Restaurant, we moved to town to enjoy the amazing night of Fraser Hill. Strolling under the yellow light, the night weather of Fraser Hill was not as cold as spreading by hearsay. 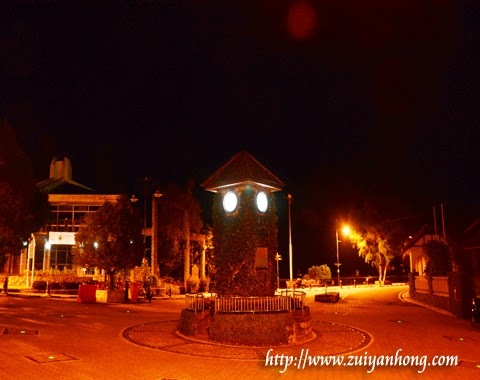 This mini clock tower is the unique landmark of Fraser Hill. Tourists like to take photo around the mini clock tower during the day. As you can see from the photo, the mini clock tower is truly lonely at night. 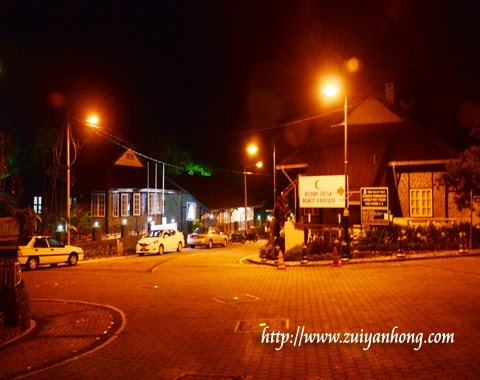 The bright building is Puncak Inn of Fraser Hill. 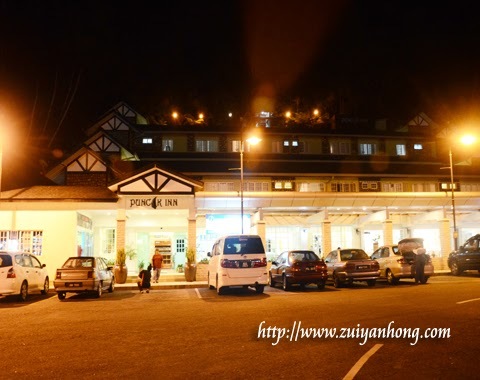 Puncak Inn is located at the mini town of Fraser Hill. It's the first choice of visitors while having their holiday at Fraser Hill. The reasons for the popularity of Puncak Inn are because of its ideal location and affordable rate. 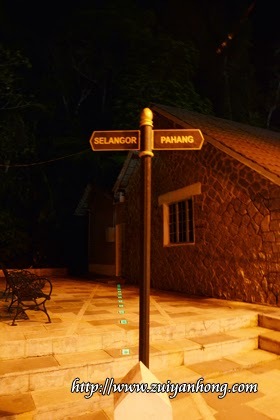 This is the photo of Pahang and Selangor border sign. The light on the ground shows the boundary of these two states. Pahang is on the right and Selangor is on the left. The mini town of Fraser Hill is at the right side. While the only grocery store at Fraser Hill is at the left side. Other than that, there is a "Eating House" at the right side.